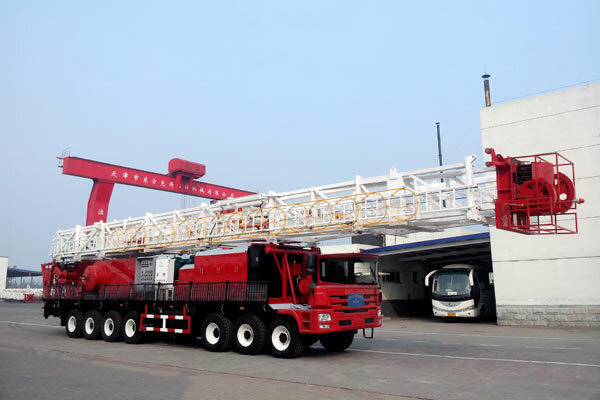 The XJ350 truck mounted workover equipment is mainly used for shallow wells work-over operation, which mainly includes the lifting system, rotation system and chassis driving system. Workover unit has a complete configuration and wide range. It can achieve heavy repairs if provided with substructure and related parts. 1. The mast is available in 31m, 29m or 25m. 2. The chassis has good cross-country performance. 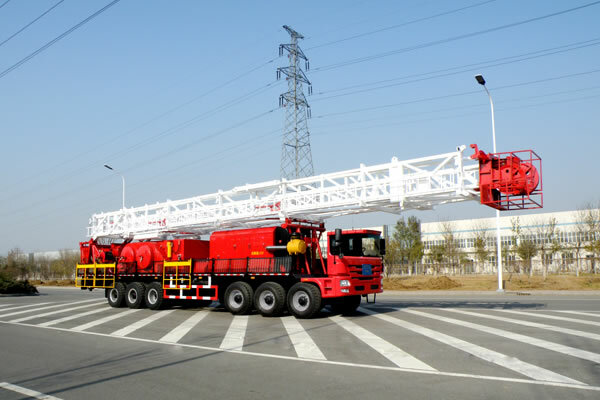 The single drum work-over rig is with 8×8 full-driven chassis. 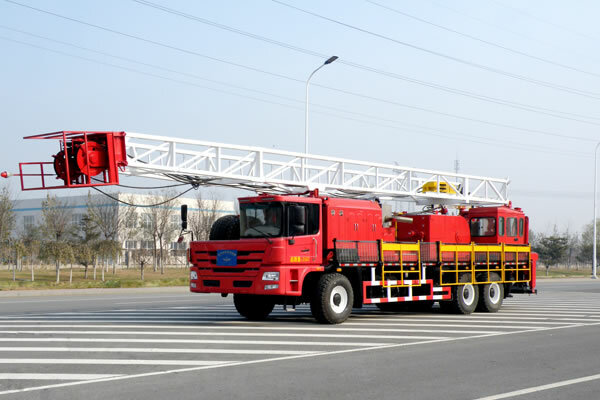 The double drum work-over rig is with 10×8 chassis. 3. Workover unit is with the characteristic of reasonable arrangement, compact structure, good transportation performance and easy for field installation and maintenance, etc. 4. The drawworks auxiliary brake is water brake. Pneumatic tong brake and pneumatic water cooling disc brake are optional. 5. 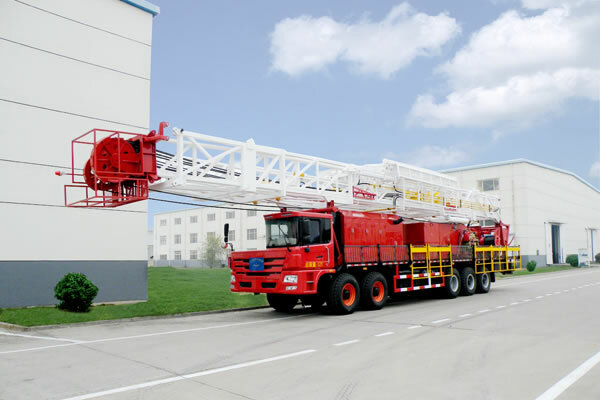 Substructure and simple working platform are optional.